Trio Virado is a collaboration of three of the most distinguished artists on their instruments of flute, viola and guitar. Amy Porter, Juan-Miguel Hernandez and João Luiz are artists widely sought after for their musical performances on recordings and the concert stage. Joining together for this debut album, they premiere four works of chamber music written especially for them. Trio Virado appears courtesy of Sciolino Artist Management. The Washington Post has praised violist Juan-Miguel Hernandez as having “…the sweetest, most sonorous tone…” (Charles T. Downey). The Atlanta Journal Constitution describes him as “…tender, lyrical, loaded with personality” (Pierre Ruhe). Performances as soloist and chamber musician have seen Juan-Miguel Hernandez on some of the world’s leading halls, including Carnegie Hall, Concertgebouw (Amsterdam), Disney Hall (Los Angeles), Salzburg Mozarteum, King’s Place (London), Hamburg Elbphilharmonie and The White House. As a soloist Juan-Miguel has made appearances with orchestras, including the Rochester Philharmonic, San Fransisco Chamber Orchestra, the Chicago Sinfonietta, iPalpiti Orchestra, as well as the Colorado and Atlanta Symphonies. As a chamber musician he has collaborated with distinguished artists such as Lynn Harrell, Ralph Kirshbaum, Kim Kashkashian, Gérard Caussé and Itzhak Perlman. Chamber music being at the forefront of his career, Juan-Miguel was a founder and member of the Harlem Quartet from 2006 to 2012 after which he joined the legendary Fine Arts Quartet from 2013 until 2018. He is a also founder and member of the "Trio Virado" (Flute, Viola, Guitar) as well as the "Boreal Trio” (Clarinet, Viola, Piano), both specializing in the creation of new repertoire. Festival and program appearances as guest artist and pedagogue include the Festival Pablo Casal (Prades, France), the Festival Des Arcs (France), the Amalfi Coast Music Festival (Italy), Stellenbosch International Chamber Music Festival (South Africa), the Brevard Summer Institute (USA), the Mozaic Festival (USA), Festicamara (Colombia), Montreal Jazz & Panama Jazz Festivals and Musica Mundi International Festival (Belgium), Borromeo (Switzerland) & Madeline Islands (USA) Chamber Music Festivals and the Festival Del lago (Mexico). Juan-Miguel has been featured on radio airwaves and television broadcasts throughout Canada, and the United States including NBC's Good Morning America, The Today Show, NPR radio, PBS and the Telemundo Network. His recordings were released by Cedille records, the White Pine, Navona and Naxos music labels. Juan-Miguel Hernandez was born in Montreal, Canada and began his musical studies at the age of seven. Among his teachers were Jean MacRae, Paul Coletti at the Colburn Conservatory and Kim Kashkashian at the New England Conservatory. He also worked with Dimitri Murrath, Paul Neubauer, Karen Tuttle, Steven Dann, James Dunham, Barbara Westphal and Pinchas Zukerman. 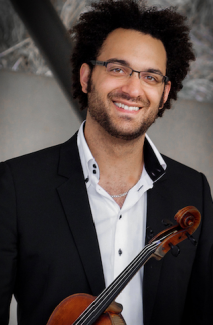 Juan-Miguel won the first Prize at the International Johannes Brahms Competition (Austria), adding to other top prizes won at the National Canadian Music Competition, and the 9th National Sphinx Competition, presented by JPMorgan Chase. He was honored with the medal of the National Assembly of Quebec for his significant international achievements. His strong commitment to educate and engage new audiences all around the globe have brought him to reach young musicians and various communities through art convoys in South Africa and Venezuela, various music festivals in South America and outreach projects in Europe and North America. In 2016 Juan-Miguel was appointed as a professor at the Royal Academy of Music (London). He was invited to serve on the Jury of the 2017 Johannes Brahms International Competition/Austria and the 2018 Sphinx Competition/USA. Beyond his extensive classical repertoire he has regularly performed with Jazz living legends Gary Burton, Stanley Clark, Paquito D’Rivera and Chick Corea. He is currently working on a project which will feature classical repertoire for viola and analog synthesizer with Yamaha artist Merlin Etorre. Further collaborations include Nora Jones’ album “Broken Little Hearts” as well as the album "Hot House" playing alongside Chick Corea and Gary Burton for which a Grammy was awarded. Juan-Miguel Hernandez plays on a 2008 Miralles viola from Altadena/CA. Two time Latin Grammy nominee guitarist, educator, and composer João Luiz, began to play the popular music of his native Brazil professionally during his childhood and was later trained in classical guitar by his mentor Henrique Pinto. Winner of the 2006 Concert Artists Guild Competition as a member of the critically acclaimed Brasil Guitar Duo, João has performed extensively in the United States, Asia, Europe and Latin America. His versatility led him to be chosen to collaborate with Yo-Yo Ma and Carlos Prieto on a project to celebrate the 75th anniversary of the Cuban composer Leo Brouwer in a landmark concert in Cuba in 2014. As a performer and composer João is equally at home with classical, Brazilian and world music; his solo guitar, guitar ensemble and chamber music repertoire covers all the main works in the guitar literature from Dowland to Berio and Brazilian rhythms from Choro to Baião. For five years João also performed and recorded with the classical guitar quartet Quaternaglia, one of Brazil’s most important chamber music ensembles. Musicians such as Sérgio Abreu, Paulo Martelli, Fábio Zanon and Alice Artzt have also been very important in his development as a guitar player. 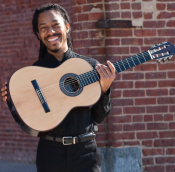 João’s interests include bridging Classical, Jazz, and Latin American music, and discovering ways to make classical music education more accessible to minorities. One of João’s favorite projects was writing the guitar methods for beginners, designing the guitar curriculum and training instructors for an important music education initiative for underprivileged children in São Paulo, Guri Santa Marcelina. João made his debut at the Aspen Festival in July 2010 as a member of the Brasil Guitar Duo. Previous summers have included concerts at New York’s River to River Festival, The Gran Teton Music Festival, Chautauqua Institution, Bermuda Guitar Festival, Tirol’s Outreach Festival (Austria), and Two Moors Festival (UK). 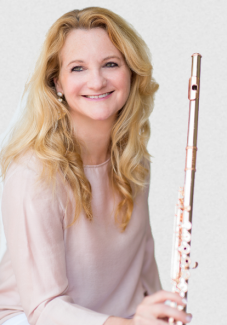 Recently featured New York City recital engagements include Weill Recital Hall at Carnegie Hall, NY Guitar Seminar at Mannes College, Symphony Space and New York Guitar Society. In addition, the duo has performed for the Orange County (CA) Performing Arts Center, Lied Center (University of Kansas), Krannert Center for the Performing Arts, University of Chicago, Spivey Hall, Montalvo Center for the Arts, Purdue University Convocations, Daytona Beach International Festival, Virginia Arts Festival, CityFolk Festival in Dayton, OH, the Santa Barbara Symphony’s Guitar Festival, the Miami Guitar Festival, the Asociacion Nacional de Conciertos in Panama City, Semana de La Guitarra in Colombia, and the Classical Guitar Societies of St. Louis, Dallas/Ft. Worth, Tucson and Upstate New York. His arrangements and compositions have been recorded and played by Marina Piccinini, Fábio Zanon, Paulo Martelli, Quaternaglia, Olson/De Cari Duo, Paquito D’Rivera, Clarice Assad, Christina Jennings, Bridget Kibbey, Sybarite 5, The Newman & Oltman guitar duo, Aquarelle Guitar Quartet, and the New York City Classical Guitar Society Orchestra. João has recorded more than fifteen CDs playing solo, duo, trio and in quartet, most of which have featured his arrangements of classical or Brazilian works. João holds a masters degree from Mannes College as a student of Michael Newman, and as the recipient of the Augustine Foundation scholarship he earned his doctoral degree from Manhattan School of Music where he studied with David Leisner. Eager to expand the repertoire of his instrument João has commissioned and premiered works written for him by Sérgio Assad, Leo Brouwer, Egberto Gismonti, Clarice Assad, David Leisner, Paulo Bellinati, Marco Pereira, and Frederic Hand. João also formed the Trio Virado in 2011 with flutist Amy Porter and violist Juan Miguel-Hernandez to promote contemporary Latin American chamber music. The first CD of the trio, Mangabeira was released in the fall of 2015 featuring world premiere recordings of works written specially for the trio by Assad, Hand and Brouwer. João is the director of chamber music at CUNY Hunter College and the head of the guitar at SUNY Purchase. He uses Augustine strings and plays on guitars made by Sérgio Abreu. With Trio Virado the instrumentation changes from cello to viola. 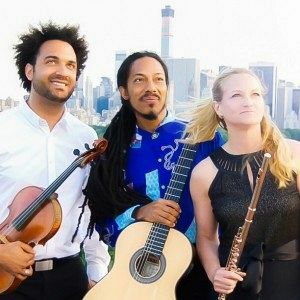 Guitarist Joao Luiz, of the Brasil Guitar Duo, is joined by Amy Porter on flute and Juan Miguel Hernandez, viola. This too is a debut album. The program begins genially with three works by Sergio Assad, especially arranged for Trio Virado. These include the ride crack Mangabeira, an infectious baiao. Next comes another baiao, the irresistible O Bebe by Hermeto Pascual. One only regrets char the piece isn't longer! Guitarist Luiz contributes the longest work on the disc, Todas as Manhas: Homenagem a Luiz Bonfa. Bonfa's signature "Manha de Carnaval" serves as the theme for a series of reverse variations, the theme appearing at the end, rather in the manner of Britten's Nocturnal. It is an inventive piece, made even more fun as the original theme reveals itself gradually. Frederic Hand, whose disc Odyssey is reviewed below, was one of Joao Luiz's teachers,and his Trio was written during their time working together. It is an absolutely lovely piece, rich in invention. Luiz also contributes fresh arrangements of three pieces by Piazzolla. They have the mix of melodic richness and rhythmic excitement that has driven the Piazzolla vogue and happily shows no sign of fading. The central milonga, Ausencias, is a bit reminiscent of Oblivion. Leo Brouwer's Paisajes, Retratos y Mujeres is his second work for chis combination , and very different from the first, Per suonare a tre, a most uninviting piece. In fact, its first movement, "Retrato de Wagner con Mathilde" has passages that are the most un-Brouwerian of any piece I have heard. Then come interjections chat remind you chat it really is Leo after all-intriguingly dual in personalities. The second,"Mujer bailando un Minuetto" simply must be heard to be believed. I could write paragraphs and fail to describe its wondrous weirdness. This phantasmagorical piece concludes with "La pasi6n segun Dowland." It is a set of wild variations on the song "Can she excuse my wrongs." Luiz is a fabulous guitarist, and he has equals in flutist Porter, whose tone is unfailingly lovely, and violist Hernandez, whose playing is always incisive yet rich in quality. Moreover, they have an absolutely uncanny ability to play in flawless ensemble. Given that none of this music is easy, it is a remarkable achievement. The recorded sound is excellent, and notes by Luiz are very good as well.